San Franciscans have been weathering complaints about our bagels and thin-crust pizzas for so long we’ve given up trying to please expat New Yorkers. But East Coast nostalgia isn’t limited to wistful Manhattanites. 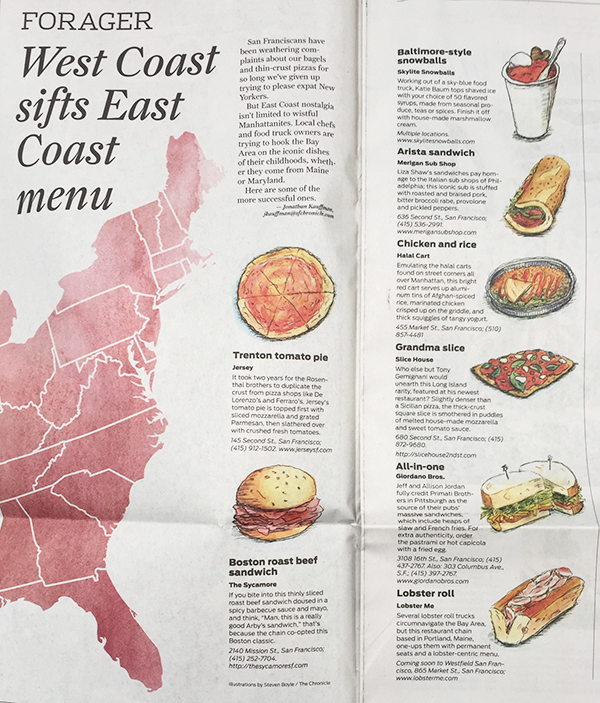 Local chefs and food truck owners are trying to hook the Bay Area on the iconic dishes of their childhoods, whether they come from Maine or Maryland.